Having recently watched and enjoyed the fourth season of Narcos, Narcos: Mexico, on Netflix, I was interested in reading The Hollywood Reporter’s Q&A with Narcos’ showrunner Eric Newman. 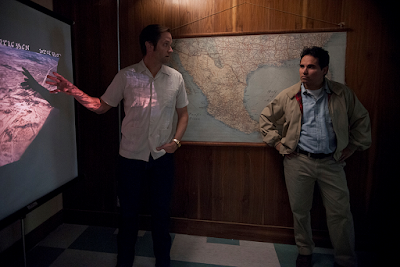 Similar to the previous seasons of Narcos, the story of Narcos: Mexico unfolded under the guidance of an English-speaking narrator. This time, however, the narrator was kept secret until the final scene, and the reveal of his identity beckons more of the Narcos: Mexico story to be told. The reset Narcos: Mexico — the fourth season overall in the Narcos saga — featured a primarily new cast when it traveled back to 1980s Mexico to show the birth of the Guadalajara cartel over the course of 10 episodes (which launched on Netflix on Nov. 16). In order to trace the origins of the Mexican drug war, the newest chapter in the cartel drama once again pitted a narco, Guadalajara's Felix Gallardo (Diego Luna), against a DEA agent, Kiki Camarena (Michael Pena). 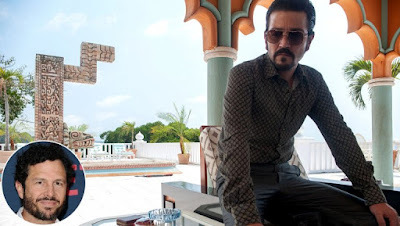 After building his empire — one that included both Pablo Escobar (played by Wagner Moura) and their Colombian rivals in Cali in a surprise crossover episode — Narcos: Mexico arrived to the unhappy ending the narrator had warned about in the season's opening minutes: Camarena was abducted, tortured and killed by Gallardo and his men. "Kiki Camarena is the first martyr in the drug war," showrunner Eric Newman tells The Hollywood Reporter of the much-documented true story of Camarena, the undercover Mexican-American DEA agent who was abducted in Guadalajara and killed in 1985. "The collision between [Kiki and Felix] became so immediately clear as the best path to get to jumpstarting the Mexican chapter of this story."